According to preliminary results by Statistics Austria, total imports amounted to € 97.08bn and total exports amounted to € 91.10bn in the period January to September 2011. Austrian imports increased by 17.3% and Austrian exports rose by 14.2% compared to the same period in 2010. 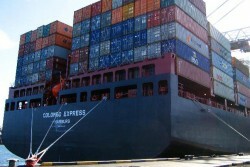 The global foreign trade balance showed a deficit of €5.98 bn.